The proposal by priests from the Christian Churches that the 3r June yearly be celebrated together at one shrine is in the right direction. President Museveni shaking hands with the Chairman of the FGCC at the forum. Middle is finance minis By Vision Reporter President Yoweri Museveni has opened the Gulf Cooperation Council (GCC) Investment Forum, in Kampala. 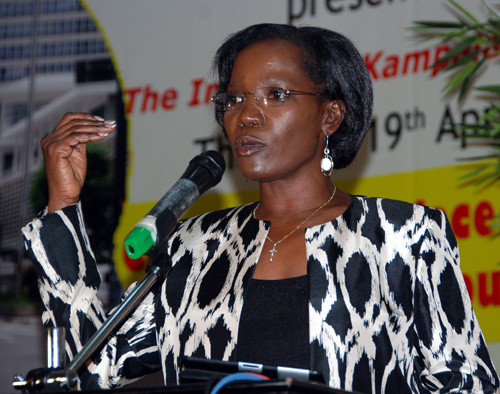 The two-day forum, will see Ugandan business community get an opportunity to meet international businessmen. The Kampala forum is organised by the Government through the Uganda Investment Authority (UIA), taking place at Sheraton Kampala Hotel. According to finace state minister in charge of investment, Aston Kajara, the GCC forum will enable local businessmen to meet and discuss with representatives of key private sector bodies and investment banks from GCC countries. The GCC countries include Bahrain, Kuwait, Oman, Qatar, Saudi Arabia and United Arab Emirates. The GCC businessmen have expertise in construction, oil, banking and other fi nancial services that Ugandans can take advantage of. Tom Buringuriza, the acting executive director of UIA, said the tax body had developed about 200 business ideas Ugandans can present to potential investors for partnership and business collaboration during the forum. 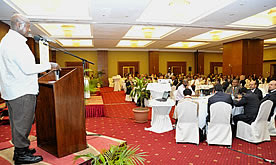 “The local businessmen should this week come to UIA offi ce and access the business ideas for free,” Buringuriza said. He added that over 200 delegates are expected at the forum, of which 75 come from the GCC countries. “We see this as a great breakthrough to host the GCC here,” he said. Buringuriza said GCC will not immediately establish a bureau in Uganda but will work with UIA to follow up on issues and partnerships built during the forum. On the morning of Tuesday, May 18, 2004, the people of Uganda woke up to the sad news of a grisly accident that claimed the country's Attorney General - Francis Ayume. Prior to the accident, the Attorney General had got a 'headache' in explaining to the President the correct constitutional process through which Article 105 (2)on term limits could be lifted. Ayume told Andrew Mwenda of the Monitor news paper as reported in the issue of the Monitor, Tuesday, May 18, 2004 that, "It would set a dangerous precedent to amend the Constitution using unconstitutional means. I told him, it was possible for the Movement to mobilize two thirds majority within Parliament to Amend Article 105 (2)." It is sad that the survivors in Ayume accident have never told Ugandans what actually happened. The vehicle which crushed Ayume was not found! "May Ayume's soul rest in eternal peace" PARLIAMENT MOURNS AYUME By Felix Osike, Joyce Namutebi and John Odyek MPS yesterday wept as they paid glowing tribute to the late Attorney General, Francis Ayume, who died in a road accident on Sunday. Justice and constitutional affairs minister Janat Mukwaya shed tears after Alex Onzima (Maracha) made remarks about Ayumeâ€™s death. Onzima, who was applauded, demanded that the Government explains the circumstances surrounding Ayumeâ€™s death. Onzima said, â€œWe need a convincing explanation from the Government,â€ he said. The gallery was filled to capacity. Ayumeâ€™s wife Elizabeth and children sat in the chambers. The Police Band played solemn music. Onzima said Ayumeâ€™s official car and his driver were withdrawn and he was given a five-year-old vehicle. He said the vehicle was initially used by former AG Mayanja Nkangi and Mukwaya, who discarded it. He said the vehicle was picked from the pool and given to a man who was a taxi driver. â€œYou know how they behave in Uganda.â€ Onzima said he expected the Government to take the accident vehicle to Naguru inspectorate of vehicles until investigations were completed. Mukwaya interrupted Onzima, saying it was unfortunate for somebody respectable to misinform the House. â€œYou are hurting my feelings. You are very unkind and very unreasonable. I never rejected the vehicle. I used it for a whole year,â€ she said. She denied that John Odwee, the driver of the fateful vehicle, was a taxi driver. She said Odwee drove her for one week and she never found his driving wanting. â€œOur vehicles are always serviced. Iâ€™m disappointed and I hate people who rejoice in others death,â€ she said. She said she and the deceased had surrendered their vehicles for the ongoing ADB meeting and that the organisers had refused to take their vehicles without their drivers. She said she was now using a pick-up truck. 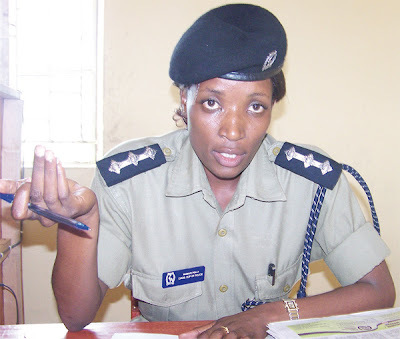 Mukwaya said she and Ayume started working on the roadmap for the transition to multipartyism from November 2003 up to Saturday and Ayume did not depart from the Government position. She quoted Ayume as saying all articles of the Constitution could be amended. Prime minister Prof. Apolo Nsibambi moved the motion to pay tribute to Ayume whom he described as â€œstructured and disciplined.â€ Grief engulfed Parliament as the vehicle carrying Ayumeâ€™s remains entered the Parliament precincts at 10:30am amid a downpour. Policemen braved the downpour and carried the casket to the lobby. Speaker Edward Ssekandi, his deputy Rebecca Kadaga, First Deputy Prime Minister Lt. Gen. Moses Ali and MPs Ben Wacha and Miria Matembe wept after viewing the body. The casket was draped in the Ugandan flag colours. Nsibambi said Ayume was extremely loyal to the Movement and to the legal profession. â€œAs Speaker he brought order to Parliament. He captured the changing moods and shepherded Parliament with tact. 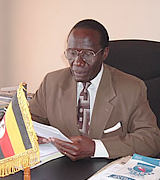 He balanced different political shades in Parliament and was never vindictive,â€ Nsibambi said. Nsibambi said Ayume moved from being Speaker to Attorney General without any â€œacidic sense of grievance.â€ He said as Attorney General, Ayume dedicated himself to the job despite being understaffed. â€œHe shepherded several Bills through Cabinet and Parliament,â€ Nsibambi said. Nsibambi said in the past five months, the AGâ€™s chambers won 29 cases, saving government sh13b. Nsibambi said Ayume published a book entitled, â€œCriminal procedure and Law in Uganda,â€ which is used by Makerere University. The Minister of Works, John Nasasira, said the fateful vehicle did not knock a trailer as earlier said. He said the stretch where the accident took place is smooth contrary to press reports that it was full of potholes. He said a final report about the incident would be given. MPs attacked the Monitor for saying Ayume was against the referendum. State minister for housing Francis Babu read a prayer saying he hoped it would put the House together. Moses Ali said the West Nile Parliamentary Group was shocked. He described reports that there could be foul play in Ayumeâ€™s death as repugnant. Kabakumba Masiko (Bujenje) described Ayume as humourous, patient and balanced. WHAT HAPPENED TO UGANDA GRAIN TRADERS? Maize exports increase 80 percent after market crash Full-Steam Ahead for Ugandan Grain Traders Challenge Uganda performed poorly in the agricultural commodities market in 1995, exporting a feeble $7.25 million—40,982 tons—of low-quality maize. “What was typical of Ugandan maize and grain then?” asked John Magnay of Uganda Grain Traders Limited (UGTL). “Shriveled, diseased, high-moisture-content, fermented, and spoiled. Train cars full of stinking, rotting maize.” Five million Ugandan farmers, 80 percent of whom owned less than five acres of land, were raising field crops like maize, beans and rice. But while the sheer number of farmers presented great potential, the farmers were scattered, unorganized and lacking in standards, inputs, markets, capital, or modern technical knowledge and tools. Most importantly, the smallholders lacked a powerful market that would buy their crops and propel their business. When the market crashed in 2001, many smallholders defaulted on loans and lost their land. 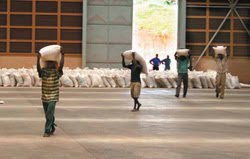 Photo: UGTL warehouse workers in Kampala carry sacks of coffee beans from a loading dock. Photo: CARE UGTL warehouse workers in Kampala carry sacks of coffee beans from a loading dock. “We campaigned for increased production and we’re seeing the results: 100,000 tons of maize and 80,000 tons of beans to the World Food Program.” —John Magnay, UGTL Managing Director Initiative USAID’s agriculture initiative reached a million of those smallholders, increasing crop production through extension programs and demonstrations that shared advances in farming, like the use of quality seed. The program also promoted Uganda’s maize to regional markets because, while the crop accounts for only 15 percent of Uganda’s food requirement, it makes up 80–90 percent of food needs in neighboring countries like Kenya and Malawi. With USAID assistance, investors created UGTL, which has established 16 local grain and producer associations. UGTL also built a warehouse the size of an airplane hangar to store crop stocks. Employing 150 local laborers, the warehouse provides plenty of capacity for Ugandan seed and grain before it is exported to regional markets. Results Increased quality standards have helped stabilize the market. At USAID’s urging, UGTL now works with inspection agencies to test grain at the farm gate, training farmers how to keep disease and moisture rates low. Exports of all field crops grew steadily from $11 million in 1995 to $34 million in 2004. USAID trained 3,000 crop farmers—32 percent of whom were women. The country’s crop farmers now supply enough good quality grain to feed the internally displaced people in northern Uganda, providing 80 percent of the necessary relief called for by the World Food Program. ----------------------------------------------------------------------------------------------------------- Uganda: Grain Traders Ltd Closed Over Rent By Jane Nafula & Evelyn Lirri, 7 February 2007 Kampala — HIGH Court bailiffs from Simba Speed Auctioneers closed Uganda Grain Traders Limited over failure to clear its rent arrears. The company deals in cereals. The bailiffs were instructed to close the premises by the Uganda Revenue Authority which owns the building that houses the company. In a letter dated January 31, URA's Assistant Commissioner in charge of Tax Appeals and Debt Collection James Okodi ordered Simba Speed Auctioneers to collect rent from Grain Uganda Traders Limited. --------------------------------------------------------------------------------------- Grain traders owe URA sh1b in rent dues Publish Date: Feb 06, 2007 By Peter Kaujju Bailiffs sent by the Uganda Revenue Authority (URA) struggled with guards to evict employees of Uganda Grain Traders (UGTL) from their Nakawa offices over unpaid rent arrears worth sh1b, a source has revealed. â€œBailiffs stormed UGTLâ€™s premises in Nakawa, threatening to evict them. There was a scuffle between the security guards and the bailiffs,â€ the source explained. The source said URA rented the premises to UGTL in 2002, but the arrears had accumulated between September 2005 up to date. UGTL reportedly rushed to make a partial payment of sh250m last week, but this did not stop the bailiffs from trying to evict them. URAâ€™s spokesperson Patrick Mukiibi said he was not at liberty to disclose information about their customer. But John Magnay, UGTLâ€™s chief executive, said: â€œI am not sure about that matter.â€ The bailiffs blocked access to the place to get more details and were reportedly still there by Monday evening. Why Polio Just Became a Global Health Crisis—and a Global Governance Crisis By Rachel Hills May 29 2012, 10:50 AM ET Comment Though only 650 cases were recorded last year, the World Health Organization declared the disease an emergency, but its importance goes beyond public health. A health worker administers polio drops to a child in Jalalabad, Afghanistan. (Reuters) Few people probably associate the phrase "global health emergency" with polio, a disease that has been around for 5000 years and is on a decades-long decline so steep that there are less than a thousand recorded cases left on Earth, and it no longer even seems real to many in the developed world. "Global health emergency" might sound applicable to HIV/AIDS, malaria, or cancer, but polio? And yet, that is exactly what happened late last Friday afternoon in Geneva, when the World Health Assembly, the governing body of the World Health Organization, declared polio a public health emergency, calling for the 194 member states to fully fund the Global Polio Eradication Initiative, and fill the currently $945 million gap in its budget for 2012-13. But this is about much more than just filling a budget shortfall: polio's threat is still very real, and the mission to finally stamp it out forever is a crucial one for reasons even bigger than the disease itself. Since the world decided to come together to eradicate polio in 1988, the disease has been almost entirely eliminated. It killed or paralysed more than 350,000 children each year in the 1980s, but there were just 650 recorded cases in 2011. In January, India celebrated its first polio-free year in history, leaving the disease endemic in just three countries: Nigeria, Pakistan and Afghanistan. The latest figures from the World Health Organization show only 60 cases so far in 2012. But polio is a different type of emergency than the ones we usually hear about in the news. Its biggest danger isn't the current number of cases, but the implications for failure: not only because a failure to eradicate could allow for a resurgence that could kill or disable thousands of children each year, but because of what it holds for the effectiveness of our global health systems itself. Part of the risk has to do with money. Over the past quarter century, $9.5 billion has already been spent on polio eradication, driven by international organizations -- primarily the WHO and UNICEF -- as well as private donors such as the Gates Foundation and Rotary. The WHO's strategic advisory group of experts on immunization have said that failure to eradicate polio would be "the most expensive public health failure in history." A failure to make all that money achieve its intended goal could make it tougher to solicit donations from countries and individuals for future eradication campaigns. The other element is symbolic. In a sense, polio will be a marker of either what the world can or cannot achieve in global health. "If we finish polio eradication, what it will prove is that with a relatively modest investment in the grand scheme of things, you can achieve real health outcomes," says Bruce Aylward, the Canadian epidemiologist who heads the WHO's eradication efforts. Wiping out a disease is a difficult business. It is a feat we've achieved only once before, with smallpox in 1979. It's not that we lack the technology: the first polio vaccine was created by Jonas Salk in 1954, following the horrific 1952 epidemic in the United States, and the oral vaccine commonly used in the developing world was created by Albert Sabin in 1963. The real challenge is ensuring that the vaccine reaches every single child, especially those children likely to be missed by routine vaccination programs: those in the poorest, most remote corners of the globe. For a disease like polio, the challenge is steeper still. Where almost everyone infected with smallpox develops a distinctive red rash, allowing sufferers to be identified and quarantined, polio has no visible effects on 99 percent of people who carry the virus. Its relative invisibility allows it to travel undetected, seeping into vulnerable pockets and popping up seemingly at random. "What we've seen in the past 10 years is, as soon as you relax your control measures, polio comes back in far greater numbers," Michael Toole, Deputy Director of the Burnet Institute in Melbourne and a member of the eradication initiative's independent monitoring board, told me. He points to outbreaks in China in 2011 as well as Tajikistan and the Democratic Republic of the Congo in 2010 -- all countries previously declared polio-free. In 2005, there was a polio outbreak in an Amish community in Minnesota, infecting five children but paralyzing none. Like any virus, polio has to come from somewhere. The WHO uses genetic sequencing to trace the path of each case across communities, cities, and even national borders. But the fact that so few of the people who carry polio display symptoms can make it almost impossible to contain. The resurgence of an old disease can be especially dangerous, as the world has learned before. In the 1950s and 1960s, the use of the insecticide DDT led to a reduction in the population of mosquitoes, which in turn decreased the number of deaths due to malaria. But the effects were temporary, and when the disease resurged, people had lost some of their natural immunity, and deaths spiked. We've had similar warning signs with polio as well: the 2010 outbreak in the Congo, for example, had a 50 percent morbidity rate, WHO spokesperson Sona Bari told me, more than twice what is usually seen in unimmunized populations. "If we fail, we are not going to continue to have 50 kids paralysed each year, we're going to have hundreds of thousands," Aylward said. But though polio is difficult to contain, it is looking increasingly possible to eradicate, largely due to the success in India last year. " I have a tremendous heart for India," says Sir Gustav Nossal, a renowned Australian immunologist who consults to the Gates Foundation. "If you go to Uttar Pradesh and Bihar, where the last pockets of the virus were in India, they are devastatingly poor. They have areas that are extremely inaccessible, that are flooded just about every single year and can't be reached for four months during the monsoon season. And yet, the Indians did it. They did it because of leadership and passionate commitment. That's what we now need from Nigeria, Pakistan, and Afghanistan." Polio is sometimes framed as a moral issue: a question of whether all children have the right to safety from a deadly and debilitating disease, a safety that those of us in the wealthier parts of the world take for granted. And, to some degree, it is. As Rotary International's Carol Pandak puts it, "The specter of 200,000 children each year being paralysed by polio in the future seems unthinkable when you when there are resources available." But the Western world has its own reasons to care, as well: a strong, proven, credible global health system, able to contain and eradicate diseases. Bill Gates, in his 2011 annual letter, called this "the rich world's enlightened self-interest." 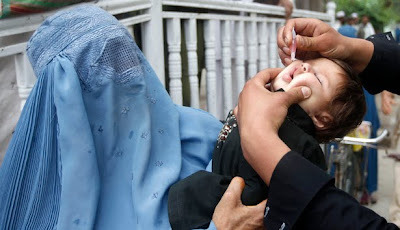 In public health circles, it is common to hear about the "symbolic" importance of polio: how halting it would be a victory for public health, and how not taking advantage of the opportunity when the number of cases is so low would be a failure so devastating that it would make it difficult to pursue more such worldwide projects. But that symbolism also has very practical applications. Aylward recalled a speech by Indian Prime Minister Manmohan Singh At the polio summit in Delhi in February, a celebration of country's first polio-free year in history. Singh spoke about how success on polio had given his government the confidence to tackle other health issues, such as measles and malnutrition, and had bolstered his plans to create new public health cadres to work for the prevention and control of disease. "The success of our efforts show that teamwork pays." Auditor General John Muwanga noted failures of the drafted oil deals to meet citizen interests. 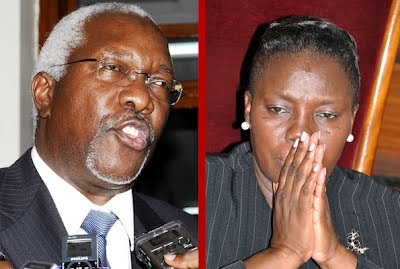 Speaker Rebecca Kadaga forwarded the matter to the Public Accounts Committee for investigation. 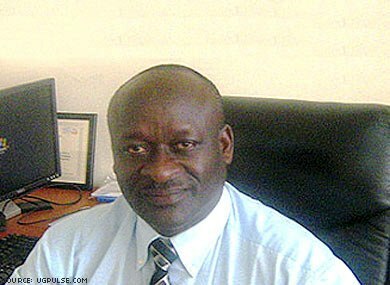 By Yasiin Mugerwa (email the author) Posted Tuesday, May 29 2012 at 00:00 In Summary The money to foreign companies will be paid in recoverable costs, although some of the expenses are not clear. An early review of the oil sector by the Auditor General has revealed that Uganda will pay millions of dollars to foreign companies in recoverable costs, some of which expenses have not been adequately ascertained. A new report containing the latest detailed assessment of the sector, paints a worrying picture of state affairs in the future handling of the oil revenues. Ernest & Young has previously audited accounts for the foreign oil companies. However, to ensure accountability in the sector, the Auditor General decided to review all the accounts, including firms which have since left the country. The Auditor General, Mr John Muwanga, in his report, points at a possible failure to protect the public interest in the drafting of oil contracts. The same accusation was made by a group of outspoken legislators in Parliament, who backed the highly-emotive emergency oil debate in Parliament last year. For instance, because officials in the Ministry of Energy did not monitor the costs to weed out the possibilities of inflated bills, the Auditor General says recoverable costs occasioned by expenditures by the firms, have now hit $492,544,876 (more than Shs1.2 trillion) as of June 2011 when the report was drafted. The AG has forwarded his report to the Speaker of Parliament, Ms Rebecca Kadaga who has asked the House Public Accounts Committee to take up the matter. 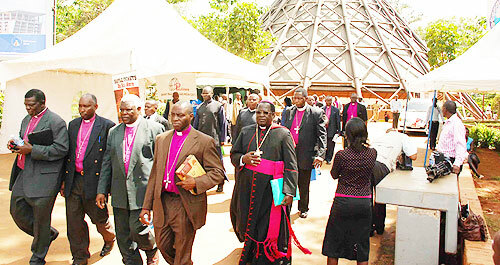 Share This Story 34Share Oil experts who looked at the existing Production Sharing Agreements (PSAs) have argued that Uganda could have settled for relatively unfavourable terms from agreements she signed with the companies working in mid-western Uganda. For countries using PSAs, recoverable costs are mandatory expenses to enable oil companies recoup the costs they incur during exploration, development and production of oil. This means that if the petrol dollars were to flow today, before the country benefits, the oil companies would first deduct Shs1.2 trillion. Under the provisions of the PSAs, the licensee is required to submit audited accounts showing details of contract expenses and revenues, within 90 days of expiry of the calendar year. In addition, the PSA gives the government the authority to review and audit the licensee’s books and records (with respect to petroleum operations) either directly or through an independent accountant of international standing designated by government. While officials in the Ministry of Energy have already certified the amounts, the Auditor General says the oil companies submitted doubtful supporting documents to prove the costs incurred. For instance, some of the supporting documents presented are scans of the original documents. These mainly relate to time writing costs and expenses incurred by affiliated companies domiciled abroad on behalf of the licensees. “There are no explicit guidelines in the PSAs on whether scanned documents presented by the licensees would suffice to act as support for recoverable expenditure,” Mr Muwanga said. “Also, Uganda does not currently have a law on use of scanned documents. Some of the scanned documents such as the time writing costs invoices and timesheets are internally generated and hence the benefit of original documents is limited.” Though Article 21 of the PSA on Training and Employment provides that the licensee agree to train and employ suitably qualified Ugandan citizens in its petroleum operations as well as undertake the schooling and training of Ugandans for staff positions, the AG says there are no explicit provisions on the implications for not complying with the requirement to satisfy the Advisory Committee. Recoverable costs The PSA provisions indicate that labour and associated costs are recoverable irrespective of the salary structures and levels, including bonuses. However, in the PSAs the government signed with oil companies, there is no cap on the level of labour and associated labour costs that are recoverable, nor are there requirements to have salary structures approved by government. Therefore, experts suggest that there is no motivation for the licensees to pay reasonable and competitive labour costs. Its sad the developments in Nairobi. The injured need our prayers to get quick recovery, after a ripped through shops in central Nairobi today, injuring dozens in what the prime minister called a "terrorist" attack despite initial police reports that it was an accident. I am not aware that parents in the past used to resist having children immunized, unfortunately, today, many are in doubt whether their children are being given the right medication. This development is after people have lost confidence in the NRM Government. A Government that is having among its ranks those who are buying whatever is available so that they undertake their own developments. There is fear that the mission could target the killing of the children so that they are able to get land in future without a big problem. The immunization has discovered a child of 14 years who is a mother, with hardly Primary one qualifications! The write-up is as below: Makerere University recently held pre-entry examinations for the students who had applied for a law degree course. A total of 1,367 candidates sat for the examination, but only 721 of them scored 50%. Out of these candidates, 1,201 were students who sat for Advanced School certificate (A Level) examinations last year and passed with distinction. Surprisingly, in the Makerere pre-entry examinations, 586 candidates scored less than 50% and, therefore failed. 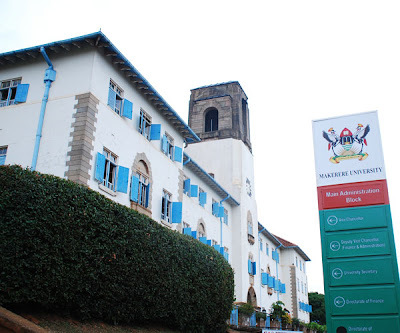 Makerere University introduced the pre-entry examination for law course applicants following a high failure rate experienced at the University's law School in recent years. The University's view is that the high failure rate is a result of admitting to the Law School mediocre students who only managed to score high marks at the a ' level through cheating. The big number of candidates who failed the pre-entry examination raises serious questions. Among other things, this appears to confirm the view that some schools engage in examination malpractices to ensure their candidates pass with distinction. Jennifer Musisi Jennifer Musisi became the Executive Director of the newly constituted Kampala Capital City Authority on April 15th 2011. It has been an explosive year since then, full of confrontations and drama, but also full of achievements and steps forward. She sat down with Kalungi Kabuye in a wide covering interview. Excerpts: Q: How would you describe your first year in office? A: The year has been very eventful in different ways, mostly because we are setting up a brand new institution, the Kampala City Council Authority. There has been a lot of learning, but there has also been a lot of sheer hard work to get this institution started. When I reported last year, I had no staff; so basically I came in to set up this institution with no administrative structure, no budget, and no directors. And no politicians. Amidst all these challenges we have seen many good things happen and we are happy for the things that have gone well. When you set out you had certain targets to meet, how far do you think you have gone into achieving these? I cannot say that we have achieved the fundamental targets, because before you can set any goals and other deliverables for the institution, you have got to first set up the institution. In this one year, we have been able to draw up a new organizational structure and have been able to get it approved. We have also been able to draw up financial and accountability systems. We have been able to draw up, get approved and get provided for a budget for the new institution. We have drawn up strategic plans, a vision, mission and objectives. We have determined goals for the institution going forward and we believe that the only remaining component for that is the staffing of the structure. You can have all these good things but you need the personnel to breathe life into the institution and that is what we are doing. Once the recruitment of staff under KCCA has been completed we will be ready to go. But you obviously achieved something… Yes, we have been able to restart basic services to the city, cleaned it up, and have upped garbage collection. I hope many people have realized that the city is now cleaner. We have started greening the city, worked on decongestion through the removal of street vendors and general visual de-cluttering of the city. We have put some water features in the place and really improved the way the way it looks. We have restored accountability and compliance in our stakeholders, recovered a lot of properties, streamlined operations and been able to deliver services like in our regulatory function. The planning directorate has improved its speed of delivery like the approval of plans. We have put up street lights and improved road network in the Central Business District. Things have been good, considering the challenges we have had. Does KCCA have enough money to do what you had planned for? In the past one year we have significantly improved revenue collection, from about sh28b annually to a target of sh44b this year. In spite of the challenges we have collected over sh30b and it is not yet the end of the financial year, so we think we are going to reach that target and hopefully surpass it. This revenue is helping us do the things you are seeing take place in the city. For instance, we have increased revenue collections from the taxis from sh392m to about sh1.9b a month. Now we are going into other areas like trade licenses to improve collections from there. The markets have also not been remitting revenue so we are now in Nakasero and are moving to St. Balikudembe soon. What do you see as the total revenue potential of the city? It is difficult to tell because it has not yet been scientifically arrived at, we have not been able to capture all the revenue sources and their potential which is what we want to try and do, so that we can know all the revenue heads and try and get some statistics in terms of revenue generation. A lot of revenue was being lost by agents collecting for KCC, either they would not remit it or they would not collect it, or a mix of both. If we put the system that we have planned and started to implement in place; if we get professional, well-motivated staff we should be able to support our budget in the next 5 years and not go to government for funding. What was your budget shortfall this year? We submitted a budget for sh256b to government, but we eventually got sh144b including revenue approved. Of that sh44b is supposed to come from local revenue and that is why I’m saying we have collected sh30b so far. But even what government had approved to give has been affected by budget cuts since then. For example, we were given sh43b for the roads and then government asked us to use sh17b of that to pay contracts inherited from the Ministry of Works, so that money is not available to us. That affected our budget for roads, so we are not going to be able to do as much we wanted to, unfortunately. But we are looking towards getting partnerships because it is probably unrealistic to imagine that the government will fund us 100% in all the areas that we want funded. That is why we are not only enhancing our own revenue collection but are also looking at partners to help us. We are pursuing a partnership funded by the Chinese government to do our infrastructure in the city. If we have that taken care of (the major roads) then we will be able to use our budget for other areas. The other initiative we have taken is that we are approaching development partners and agencies, all sorts of them. We had a donors conference recently, just to tell them what our vision is, what we have managed to achieve, what we need to achieve, and where the gaps are and asking them to see where they can come in to support us and we got a very positive response. So we think that working the three together will help us get a better budget. There are some obvious areas of concern to Kampala residents, how have you addressed them? One major area of concern is the bitumen road network within the Central Business District and the gravel roads in the outskirts. The public expected the roads to magically transform into first class roads in the first two weeks I was in office. We have not been able to do that but we have been able to improve the roads a lot. We have done a lot of road repairs where there have been pot holes, resurfaced some major roads, and improved gravel roads. We have not done 100% of all the roads in the city, basically because we do not have the budget to do it. What are the roads you have worked on? We have worked on roads such as the Gadhafi road, the old Kampala-Makerere road, Allen road, Buxton Street in the lower CBD, Sikh lane, Namirembe Road, Channel Street, Ben Kiwanuka Street, Upper Kololo road above the airstrip and others. We have also done a lot of work on the drainage system to alleviate the problem of flooding by de-silting and de-clogging of the drainage system. There were almost zero street lights when we came in, but we have installed 2,087 street lights on 75 or so roads in the CBD and areas like Katwe. We are moving into the outer areas of the city. The major challenge has been theft of the electricity fixtures, the switches and wires; and we also found that the utility companies have damaged a lot of wiring because of cutting across the roads and walk ways. What about garbage collection? That is a major Kampala problem We have increased collection by 37.5% from where we found it. We have also been able to install about 750 garbage trash cans in the city. We are partnering with the communities to see how they can improve garbage collection. We are also doing a lot of sensitization to get locals to own and take care of the city. The communal involvement with the Kampala City Yange foundation, to get the public to participate in cleaning the city, is taking off very well. Which companies are licensed to collect garbage? There was confusion in the past as to which ones are licensed There are company’s licensed to collect garbage, but the law states that the person generating garbage should take care of its disposal. That means that if you cannot dispose of it yourself, you have to pay someone to do it for you. We have been supplementing that as the City Authority because many people are unaware, or they do not want to pay for it. So there are companies that have been licensed to collect garbage for a fee, which happens in every city. But as KCCA we have been collecting garbage and we will continue doing so while sensitizing the community. At some point the communities will have to make a contribution to the removal of the garbage they generate but it is going to be a process. We have also been punishing people that drop trash in the city. What percentage of garbage collection is done by Private companies? The biggest part is done by us, but we found there were companies contracted by government to clean the city. We paid them about sh2b a month but they were not doing a good job so when these contracts have expired we have not renewed them. So the ladies and men you see cleaning the streets now in KCCA reflectors are people that we pay. We are doing this to achieve at least three aims. One, we use community organizations by giving them an area, which is creating jobs for the people. Secondly, we are creating ownership of the city because if they are cleaning the city they begin to love and own it, that’s why you see them work incredible hours just to keep the city clean. But meanwhile, we are also getting a cleaner city because these people are doing such a good job. Going forward we will continue to employ the youth, the women and the widows - people that have otherwise been unemployed. The people you see cleaning and building ramps are people that we get from the communities through partnerships. What about Kampala traffic, which is crazy at the best of times? We found traffic management plans in place that have not been implemented for various reasons, but we are reviewing traffic flow patterns in the city and looking to create alternatives. The plan of having buses was to reduce on the number of cars getting into the city. The road network that we have today was designed in the 50’s and 60’s for a small number of cars. The roads are old and narrow, and there are too many roundabouts that should not be in a modern city. Ideally the roads should have been redesigned and replaced. If we get funds we would be able to do a lot of these things. Right now we are looking at putting traffic lights where there are none, and eventually remove some of the roundabouts. Our plan has fly overs in certain areas starting with the Kitgum house, Electoral Commission, Nakumatt junction, but that’s in the long term. Also part of the metropolitan physical development plan is to decongest the city so that people do not have to come into the city to shop and bank and do stuff. Hopefully government will relocate some of its ministries out of the city to increase the already limited parking space, because almost every government ministry building has a no parking zone around it. If we had enough buses hopefully that will drive most of the smaller commuter vans (taxis) out of the city and into the outskirts. Currently there are only 100 buses, how many are there supposed to be? The Bus Company has informed us that the next bunch of 100 buses is ready to be shipped next month (May) and should be here in the next three months. But indications are that even the next 100 buses will not meet the demand, so our arrangement with them is another 100 every month and eventually have 520 buses on some routes. Other routes will not have any buses because of the way the contracts were drafted. Some will have abundant buses, while others will have zero buses until we get another service provider to provide buses for those, we did not want a monopoly for the entire city. What are the issues with Mukono and Wakiso districts? 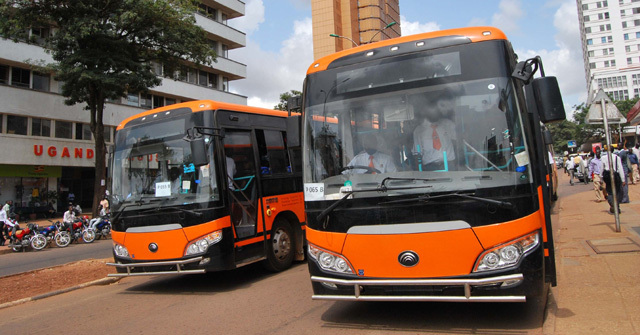 The contract with Pioneer Easy Bus is for the provision of buses for Kampala city and not beyond that. 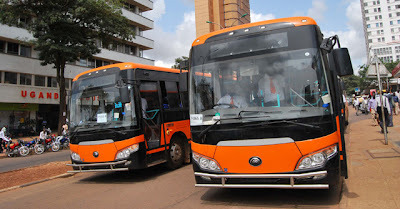 So if Mukono and Wakiso want to have the buses they have to enter some formal agreement with the bus company. And then there are the boda bodas We have a plan for the Boda-bodas but we will first partner with them, sensitize them, and then implement. We need to count and register them first, and then set basic regulations. I have a meeting scheduled with their 12 elected leaders next week. We want to begin working with them on how to improve their industry in the city. You realize that you cannot just pluck them off the streets and throw them away. You have to have a plan of what happens after that, and how they can continue to earn an income. So what plans do you have? Initially we need to get a hold of the statistics and then provide alternatives, perhaps we should have specific numbers in specific divisions, so if you are in Makindye you operate from there, if you are Nakawa, you operate there so that we do not have 80,000 boda-bodas roaming the city all the time. We intend to carry out some basic training for them because of the traffic nuisance that they have become, and then also give them alternatives. The KCCA has funds that we give out to create employment and so far we have funded about 430 groups. So far we have given out over sh1b to low income groups to facilitate them to do business, and they can also benefit from those programs, so not all youth look to become boda boda riders. The police seem to let boda bodas do what they want, how are you going to address this, for example get them off the pavements and walkways? There is no way you can implement any traffic program without the participation of police. However at the moment the police, like anybody else, is overwhelmed by the sheer numbers of the boda bodas. So the numbers have got to be controlled, and they are also a security concern. Is there political pressure for them to stay? There are people from the political side saying that these are our voters, poor Ugandans, and that we are being elitist and discriminatory. Many members of the public are telling us to just get rid of them and throw them out of town like we did with the street vendors, but these people need a livelihood, so we have to balance employment and social issues; all those tender areas that come with trying to enforce the changes in a multi-faceted society like we have in the city. We have to provide some alternatives so you do not have this whole mass of people just ganging up and protesting because they have nothing to do. KCC was probably one of the most corrupt institutions in the country, what have you done about it? We have recovered large amounts of money, for example sh60b from fictitious and defective supplies, and at least sh56b on undeclared accounts. We have recovered a lot of properties like the Sezibwa Road and Mabua Road houses; the Kikajjo land, and the area that is fenced off opposite the railway station. We also cancelled some leases that were irregularly awarded, reclaimed some property like vehicles, and clamped down on fuel abuse from sh240m a week to about sh45m. Right now we have over 50 criminal files involving mostly our staff that is in the process of being prosecuted. There has been a huge problem in corrupt and illegal licensing of structures in the city The institution had died, whereas KCC was supposed to be the regulator, it was now participating in breaching its own regulations, but we are working on changing that round. You will appreciate that we are still working with a lot of staff who were under KCC so some cases of malpractice are still going on. That will reduce when we get more professional staff with a high level of integrity on board. But we have recently discovered that a lot of the documentations, like permits and licenses, purportedly given by KCCA are actually forgeries. There are more forgeries in the Taxi revenue documentation, fraudulent bank stamps, fraudulent bank advice forms, and all that. For example Centenary Park? That contract was not supervised properly, there was a breach, so we are addressing that and we shall take remedial action. We will give the details on what is going to happen in that area in the coming future but it is just one of the contracts that were mismanaged under KCC. Are the irregularly offered contracts reversible? Legally if your officer irregularly issues out a document you can reverse it but you also have to prosecute the officer. Those are some the things that we are doing now. A road reserve is a road reserve, so getting a permit to build on a road reserve is not right. We did demolish a lot of illegal structures, the last time I checked we had demolished 250 illegal structures on road reserves, walls and semi-permanent structures build in road reserves. But in the city centre we had to do a technical assessment so we set up a technical team from the architects association, engineers, and the Ministry of Lands to assess those buildings. Their findings were that a lot of them had actually breached the building regulations, so one of the options we had was to penalize them, but the penalties in place are not punitive enough to cause serious compliance. The next option we had was to demolish the structures. But these buildings were so poorly built that if you removed some of the shops underneath you would compromise the stability of the building, and they would crumble. If you demolish one, many others would crumble. So we stepped back and said maybe we should penalize them. A few of the owners have actually reconverted the areas back into parking spaces. But going forward we are not going to approve any building plans without parking spaces. And we are supervising to ensure that the parking space is put in place during construction, otherwise we will not give an occupation permit when the building is completed. We are penalizing some and demolishing others. The technical team gave us an initial report, but it is doing more work and will come up with recommendations that will guide us going forward for the remedial actions for each circumstance. One of the problems we have in Uganda is proper maintenance of structures once put up, how will you deal with that? One of the things that we keep telling the public is that the responsibility of transforming the city has got to be shared. No matter much money the government throws into KCCA, no matter how good our plans are, the public has to be involved to maintain the city. If the public continues trashing on the streets and stealing our trash cans like they have been doing; pulling out wires, stealing street lights and throwing garbage though car windows, it will be counterproductive. We have spent a lot of money in greening the city, buying grass and flowers and paying money for labour, but the public is pulling out these plants, walking on them and bruising the plants, so they are dying. In the evening they lie on the grass and kill it. Whenever it rains and the drainage is clogged we send out teams who find fragments of bricks in the drainage channels, foetuses, polythene bags, dead bodies and all manner of junk in there. So no matter how much money we spend on de-clogging and de-silting, if the public does not change its practices we are not going to win. I was given a bill of sh600m to de-clog a certain part of Nakivubo Channel that had been clogged with plastics in one spot and yet there are eight spots. I do not have the budget to do that continuously, so the only salvation is for the public to stop using the channel as a trash dump. We are already seeing some changes, but we intend to use a multi-faceted approach, one is sensitizing the public to love their city. We have people reprimand others for trashing on the streets and report others for trying to steel our bins and lights, and we have arrested some and that is a good thing. We have had maybe 70 people arrested and prosecuted for trashing. We are going to continue sensitization on radio, papers and in communities using our political leaders at different levels for the public to appreciate what it means to leave in a clean environment. So it has to take all of us. We are going to schools and addressing assemblies so that the children can grow up while appreciating the value of a clean environment. So it is a multifaceted approach. In all this how much has politics been a hindrance? Much of it has been as a hindrance and has had a negative effect on the economic sector. The business community is what gives us revenue through property rates, trading licenses, hotel tax, and local service tax. But if they are interrupted in their work because of a political occurrence then that is bad for us as the Authority because it makes the city insecure, it makes people afraid to come and do business and trade in the city. It’s been disruptive and diversionary but it has not stopped us from achieving a lot of good things. Going forward we hope that even politically things will settle down. I respect the fact that we are adjusting to a new law with the creation of the KCCA, but the politicians need to respect that. We all need to respect that the city is being managed away from the politics, and is being managed like a corporate entity. And the wrangles with the Lord Mayor? A lot of the wrangles are simply perceptions, and what the public and the Lord Mayor perhaps sees as acrimony is the new law. Power sources have changed, financial control changed, and functions changed. When we implement the law there has been a lot of misunderstanding which is perceived as a wrangle. For example one of the duties of the Executive Director is to advise the City Authority headed by the Lord Mayor on legal matters. So where I have had to advise the Lord Mayor on some matters, it has been perceived as a wrangle with the politicians. Where I have had to give advice on matters financial it has been perceived as opposing the politicians, but I am legally required to do that. I’m also legally required to be the head of the public service of the institution, to be the spokesperson, to implement government programs, and to be the coordinator with government. There are a whole host of responsibilities that the law gives me and that are what I have been doing. But that takes away a lot that was being done by the politicians in the past. But on the technical side we have a strategy, a plan and we have key deliverables that we have set for ourselves within certain timeframes and we are doing very well. I don’t know about the politicians and there deliverables, I know about us and I think we are making a lot of progress. Has the relationship with other politicians generally improved over the year? Yes, definitely. I think I would say our relationship with the politicians may be 90% positive. The other government organs that comprise politicians have been working, and even today they are meeting, they are discussing policy issues, making recommendations and getting reports ready. What we are waiting for is an ordinary Authority meeting, which the Lord Mayor is supposed to call, to present what they have been working on. So we relate very well, we interact with them and on the whole we are working well with the politicians. We long moved away from the divisions and disparities. There has been a bit of frustration on their part, whereby the divisions are not functioning as they should financially because the law centralized all the financial management here in the office of the Executive Director, away from the divisions. The law gives the Executive Director powers to delegate as she deems fit to the division Town Clerks. But Town Clerks have not been appointed because the staff structure was approved just last month. Adverts have been put out and we should be getting town clerks appointed before too long and delegate some of my financial roles, hopefully before the end of the financial year. The divisions will then be functioning in terms of having sub-accounting officers stationed there, but in the meantime every division that has been bringing programs for funding we have been funding them. What are your plans for next year? When the organization is fully in place we will start on what we set out to do. We have a very vibrant gender directorate that works on the economic empowerment of the youth, job creation programs, and projects such as renovating markets that is going to continue. In the engineering and technical services we are going to continue fixing roads and build structures. We want to renovate our over 100 primary schools. We are also moving towards recycling garbage and right now we are looking at proposals. So far we have gotten proposals from 50 countries from all over the world, including Uganda, that we are getting a consultant to assess and get the best. We are looking to generate bio energy from the waste as one of the projects, we have done some initial tests as one of the programs we want to do in the short run. We are looking at teaching the communities to sort and recycle waste, and are putting up waste recycling centres. We already have one in Namuwongo and are looking at putting up others in other divisions. In the health segment we are soon taking over Naguru hospital, we want to improve the services being offered there and equip it better. We are looking at renovating health centres such as in Kisugu, Kawempe and others to give better services to people. In the revenue segment we intend to improve revenue collection and our planning and projects; we want to improve on those services and roll them out to the divisions. Can you paint a picture of what Kampala will be like next year? We have a vision to create a liveable, sustainable, healthy and really nice city, but we can only do that with other contributing factors in place. If we had adequate provisions in terms of financing we could be able to do that because we are accountable people and we have set up good systems of accountability. If we had more funding we would do more; if we had all the staff on board we would do more; if we got out of politicking to concentrate on where we would like the organization to go as a city Authority we would achieve more. Well as we have a vision to transform Kampala very significantly, there are many other factors that play into that. I do not want to promise things that I am not able to deliver on, I want to work realistically. But our commitment is to significantly improve Kampala and make it a better city for everybody. You have said you have no life, and that life is increasingly being threatened with harm, why do you do it? Because it is my city, it is my children’s city and will be their children’s city. We cannot all go away and live elsewhere, somebody has to do it, and I will do my part. When my contract is over after three years I will hand over to somebody else and they will do their part. I also believe in God, and believe I have a calling to do what I can for Kampala. 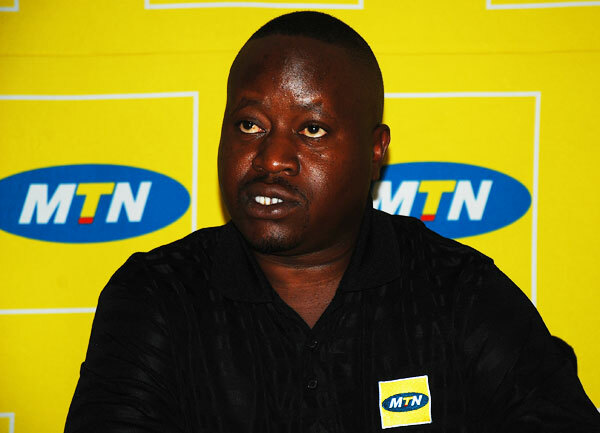 How MTN lost mobile billlons Thursday, 24 May 2012 23:52 Written by Jeff Mbanga MTN lost over Shs 15bn in a scam Suspense account manipulated MTN Uganda explains scam Crafty MTN Uganda staff manipulated the mobile money suspense account –where cash from poorly executed transactions is kept – and stole up to Shs 15 billion, The Observer has established. News of the scam broke only on Wednesday but top managers have known about it since early this year. And as MTN struggles to manage the fallout from the scam, we have spoken to sources within MTN that explained to us how it happened. Many a subscriber has pressed a wrong digit or entered a wrong figure while trying to send money on MTN’s mobile money service. Our sources have explained that when that happens, the system recognises the transaction but does not complete it. Hence, while money is sent, it is usually not received. Such money is then kept in a suspense account, according to our informed sources. The suspense account system is also used in commercial banks for money whose ownership is not yet clear. Many subscribers struggle to recover such money because the process is long and tedious. A good number, especially those with small amounts, simply give up. MTN staff monitor this money and the crafty ones eventually make fictitious claims as to whom it belongs. A statement issued by MTN Uganda said the company was upgrading its mobile money system when the fraudsters took advantage of gaps in the system. Our source also revealed that there are some people who deposit fake bank notes, especially in areas where the dealer might not recognise such counterfeit, leaving the depositor to withdraw genuine money. In some cases, crafty staff are well aware of the counterfeit notes and work with accomplices, whom they advise on dealers that might blindly accept the fake money. In addition, we have been told that some MTN staff abuse the commission system. Under this system, the dealers, who operate mobile money kiosks are supposed to earn a commission of Shs 800 per transaction. This commission system is supposed to be automated, but some crafty MTN workers have previously managed to hack in and deny some dealers their commission. The worst affected commission agents are those whose daily transactions are less than Shs 2m. These dealers also tend to have a poor recordkeeping regime. In many cases they are unable to reconcile their transactions with MTN’s because of lack of proper records. Unscrupulous MTN staff exploited this loophole and arrogated themselves the duty of deciding how much commission such dealers should take, often diverting hefty sums for their own benefit. Industry sources have told The Observer that the scam brings into focus the issue of regulation. The question as to how the mobile money service is to be regulated has been around for a while with no convincing answer. Both Bank of Uganda and the Uganda Communications Commission share some powers to regulate the service. But there has been no comprehensive law or policy on such a critical financial service. Meanwhile, sources have told us that MTN Uganda is engulfed in tension as a result of the scam coming to light. Yesterday, the company’s top management was locked in meetings and the issue was high on the agenda. We have been told that MTN is yet to decide whether to hold its internal audit department responsible for the mess that has so far cost at least three senior staff their jobs. More staff are expected to get the sack as investigations unfold. The scam was reportedly discovered after an investigation team arrived from South Africa earlier this year, following a tipoff. The team carried out due diligence on the company’s mobile money operations and found loopholes. After their preliminary findings, the team recommended a broader investigation. 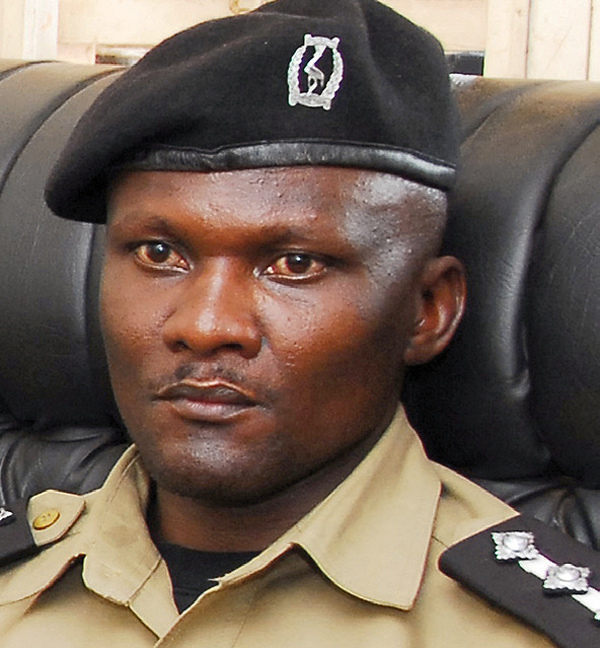 Poly Namaye (SP) President Museveni has promoted 530 senior police officers to different ranks between Assistant Inspector General of Police (AIGP) and Assistant Superintendent of Police (ASP). The full list of the promotions, released by Inspector General of Police Kale Kayihura, excited many police officers, who can expect a lot of benefits to come with these promotions. “I congratulate all of you on your promotion and urge you to work even harder. By copy of this message the dig shall organize a pipping ceremony for the officers concerned at Police headquarters next week,” he said. 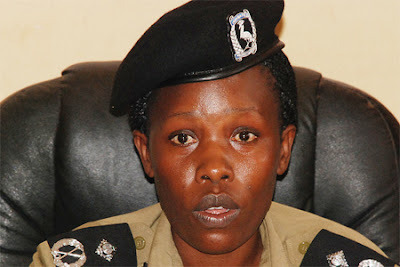 Commissioner of Police Judith Nabakooba, the deputy Police Spokesperson, said the promotions were general, normal exercise often made annually. Some of the officers who have been promoted to different ranks couldn’t hide their thrill yesterday. “We are very happy and thank the President for observing our work to the nation which has led us to these promotions,” said one officer, who climbed from assistant superintendent of police to superintendent of police. Among the promoted officers, a big number was promoted from the rank of assistant superintendent of Police to superintendent of Police (273), followed by officers who were promoted from inspector of Police to assistant superintendent of Police (71). Another 54 officers rose from superintendent of Police to senior superintendent of Police, followed by 33 officers who were promoted from Superintendent of Police to Assistant Commissioner of Police. Thirty-three officers climbed from assistant superintendent of Police to senior superintendent of Police. Another 19 officers were promoted from senior superintendent of Police to assistant Commissioner of Police, 10 officers from Inspector of Police to assistant superintendent of Police and nine officers from assistant commissioner of Police to commissioner of Police. Eight officers rose from commissioner of Police to senior commissioner of Police; seven officers from assistant superintendent of Police to assistant commissioner of Police and seven other officers from Inspector of Police to Superintendent of Police. Four officers were promoted from senior superintendent of Police to commissioner and two officers from Commissioner of Police to Assistant Inspector General of Police. Katumba Wamala Posted Sunday, May 27 2012 at 00:00 Bringing heads together. 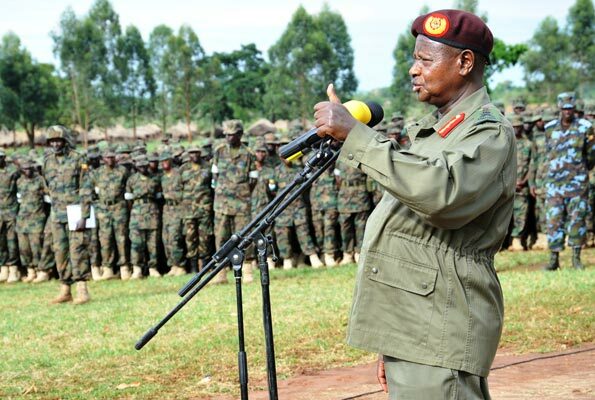 Uganda hosted African Land Forces summit with military generals coming from 36 African countries last week. The meeting, co-hosted by the United States Army Africa (USARAF), discussed the continent’s security threats. 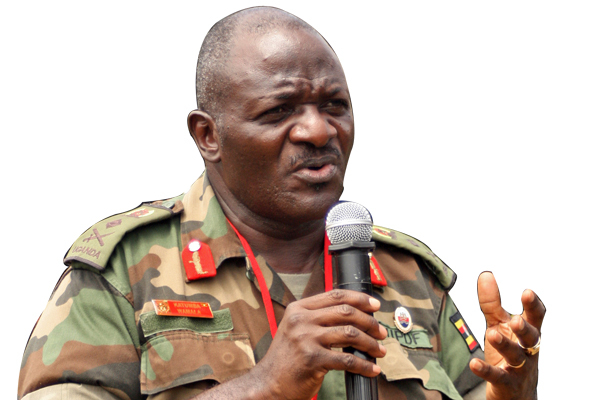 The UPDF Commander of Land Forces, Lt. Gen. Katumba Wamala, who was the main host, talked to Thoughts and Idea’s Risdel Kasasira about the summit, their discussion of challenges faced by African militaries and why UPDF has deployed from Central Africa to the Indian Ocean. 1. What was this meeting [of African Land Forces Commanders] about and why was Uganda chosen to host the event? It was about building partnerships and friendship in order to address regional security concerns. We came to know each other not from countries but regions. We discussed regional security challenges and how we can go about these security challenges. We also ensured that our other partners who are not from the continent especially Americans understand us better than before. For Uganda to be the host, we requested for it. It was in Washington when they put up a request of who could host it, and we offered to host it. That’s how it came here. 2. 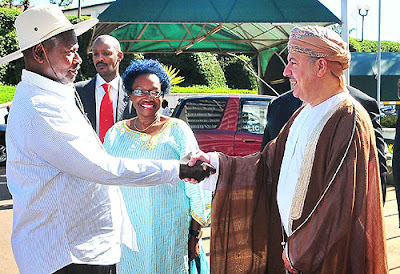 Do you know the reason why some countries including Sudan did not attend and could it be because of accusations and counter-accusations between Ugandan and Sudan over aiding rebels? What does hosting this summit mean to Uganda in general and UPDF in particular? I don’t know why you bother about Sudan! There are many African countries which didn’t attend. There are more than 54 countries, we got 37. Why Sudan in particular? Others didn’t come. It was by choice. Whoever was invited came and whoever didn’t come, it was not like a must-attend meeting. We have been able to showcase ourselves. One thing was to show them how we prepare our troops going to Somalia. They are asking how we have been able to make a difference in Somalia and in the region. They were asking how Ugandans have been able to hold this mission and bring it to the level where it is all this time even when we didn’t have other players coming in. They were very much interested in how we prepare our troops going for the mission; that’s why we took them to the training centre in Singo. 3. Do you see these regional forces uniting and becoming one continental force? Of course, you know the concept of African Standby Force is to start with regional forces. The regional mechanisms are the ones which will build eventually to Africa Standby Force. That’s how we are looking at it. We are looking at the preparedness of these regional economic mechanisms and forces. How ready are they to be able to form the African Standby Force? How far has each of these regions gone in preparing its forces to contribute to the continental force? We looked at all these questions. 4. Other than poor funding what are the other challenges the African land forces are facing? There are other challenges like communication. You know that we have different languages. There are those who speak French, others speak Arabic and others Portuguese. Working together as one entity becomes a challenge especially communication, and of course logistical challenge is the major one. For example, if we were to airlift forces from SADC to East Africa, it becomes a challenge. Does African Union, which is our mother body, possess capacity to airlift those troops to where they would be required? It’s a big challenge. 5. In the developed world, battles are majorly fought using technology. But in Africa, our troops trek through jungles, mountains and deserts. Do you envisage when an African soldier will apply more technology rather than walking long distances to hunt the enemy? Technology does not replace a human being. It can only improve. You will still need a human being because even that technology will still be operated by a human being. You cannot say you are going to replace the forces with technology. It does not work. By now the Americans would not be having foot soldiers to put on the ground. You still need boots on ground. Therefore, technology will enhance but will not replace soldiers. 6. Do you see yourselves as warmongers because Uganda is the only country whose forces are deployed across the continent, from Central African Republic which borders Cameroon, through South Sudan to Somalia? I thought Ugandans should be proud that their forces have got that potential. That’s a pride. The question is that are we just there? Or are we an impact? If it is, then Ugandans should be proud of their forces. One of the prides of this nation, is the army; that we can be able to perform what we do even with challenges. UPDF soldiers are ideologically clear and highly motivated. What drives our military is not money. What drives our military is the ideology. The President even alluded to this when he was opening the seminar. He said African forces must have an ideology. They must be ideologically oriented. Of course for us, it’s pan-Africanism. It’s big in our ideology. We think of Africa first before we think of individuals. 7. How can they be highly motivated when they are poorly paid and secondly, what about those who say that you are fighting proxy war? They say you are protecting American interests in the region. That’s where some get it wrong. Money is not a motivation. It could be one of the factors but it’s not the only factor. That’s why some Ugandans get it wrong because instead of thinking they can make their country better they think of how they can make more money. We are putting our priorities upside down. When there was bombing at Rugby Club and Kabalagala, how many Americans died compared to Ugandans? Of course majority were Ugandans. When these guns come from Somalia and enter Karamoja and cause havoc how are Americans affected? HOW AND WHO CAN HELP UGANDANS GET WORK ON-LINE? HOW CAN AFRICA AIM FOR ITS MGD GOALS? AS MOTHERS DAY IS OBSERVED WHAT ISSUES IN UGANDA? WAS AGOA AIR SUPPLY FOR UGANDA? WHY THE FAILURE OF TRANSPARENCY IN LAND DEALS? WHEN IS KOOKY TO BE DEPORTED?